Chicory is an optional third-party advertising unit for sites with recipe content. Sometimes Chicory includes native ad units within the recipe card called Chicory Premium Campaigns. 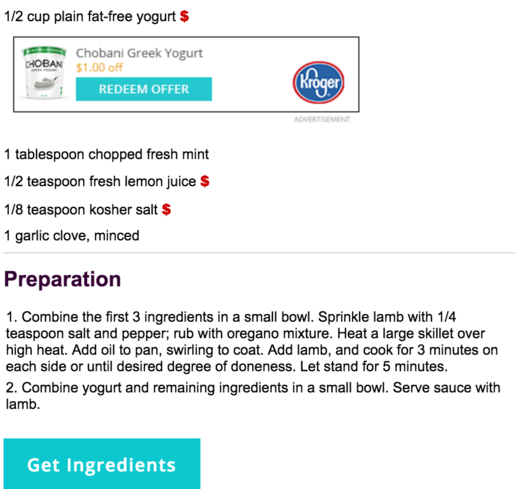 Brands buy ads through Chicory, and the ads are shown on recipes that contain a targeted ingredient. Unless a publisher opts out, Chicory will automatically detect the targeted ingredient and place the ad on their site for the duration of the campaign. For example, Land O'Lakes might buy an ad that will appear any time a recipe calls for butter or margarine. Chicory offers a variety of opt out options. Don't hesitate to reach out to publishers@mediavine.com if you have any questions!